Recently Shapeways has implemented what we are all calling the "Price-apocalypse" by increasing their prices for multipart prints by 3-4 fold. 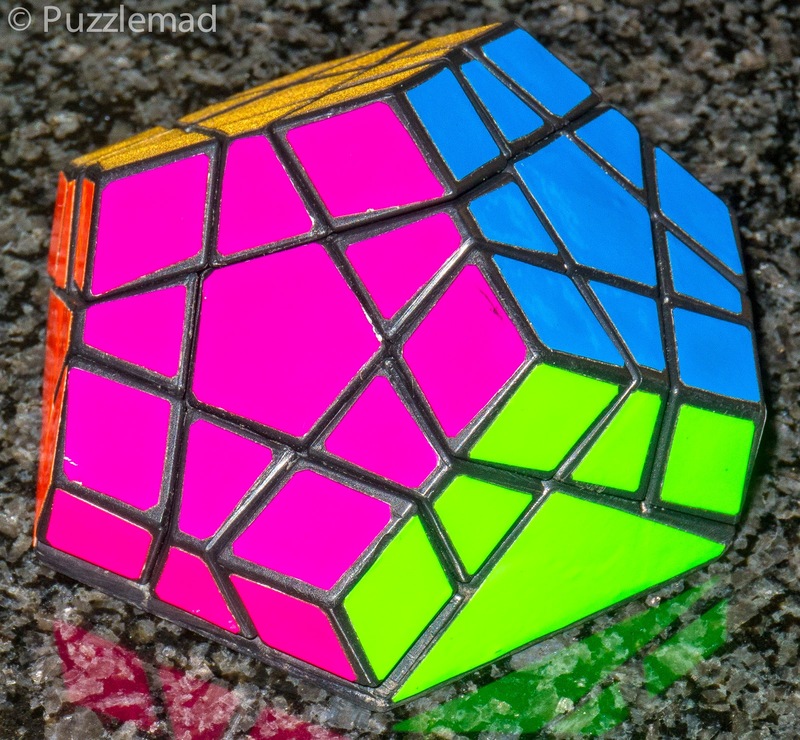 This has effectively made 3D printed twisty puzzles a more or less unaffordable prospect for the foreseeable future and this means that we need to consider alternative methods of obtaining new toys to play with. The present method is to take an existing puzzle and use saws, knives and filling material to create something new. 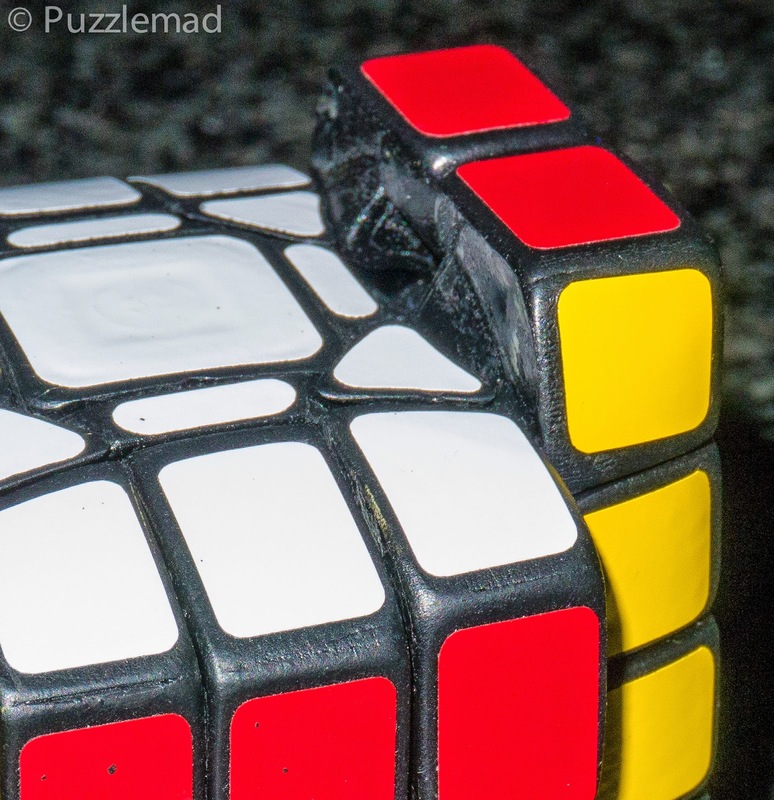 Over the last year or so I have managed to obtain a few quite modifications of twisty puzzles from various people foremost of whom is Traiphum (the ultimate puzzle modder). I think it is time to inform you who those geniuses are and encourage you to try and get puzzles from them! Above we have a new cuboid (a 5x5x2) which was hand made from a 5x5x5 cube by an young Australian craftsman called Nathan Wilson. 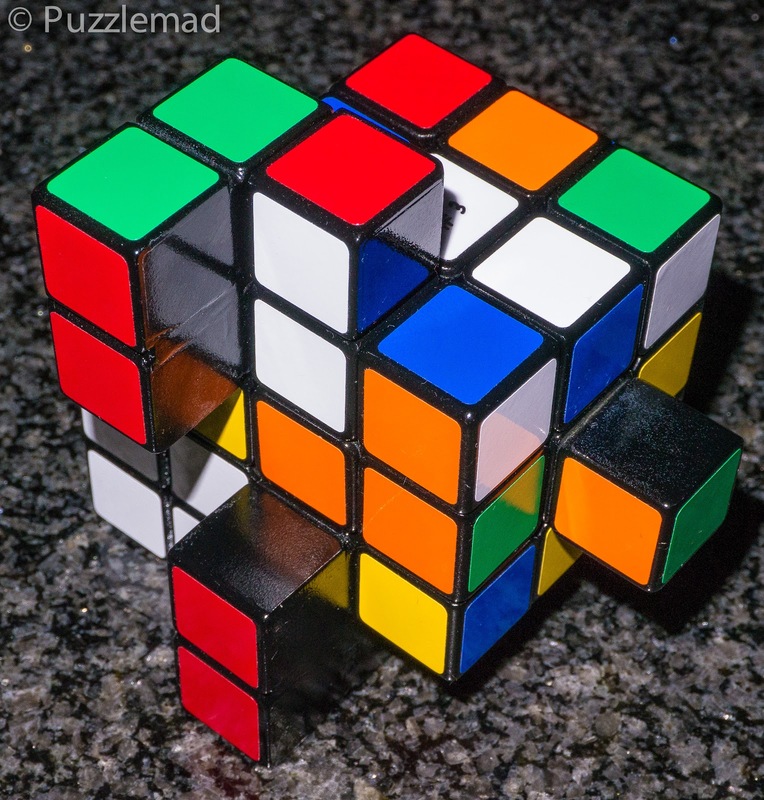 He posted on the Puzzle photography Facebook group that he was going to make some 5x5x3 and 5x5x2 cuboids and asked whether anyone would like to buy one. Of course I jumped at the chance and a month or so later it arrived! This is a masterpiece of cutting and filling. When turned, you can see how much has been shaved off and it is amazing that it is still stable. Much easier than you would think! Being of the form N x N x (N + O) where O is any odd number it is part of the Domino group of cuboids and the easiest of all to solve. It probably only took me about 1/2 an hour to solve (partly because my first solution produced an edge reformation parity which I took a while to recognise and beat. 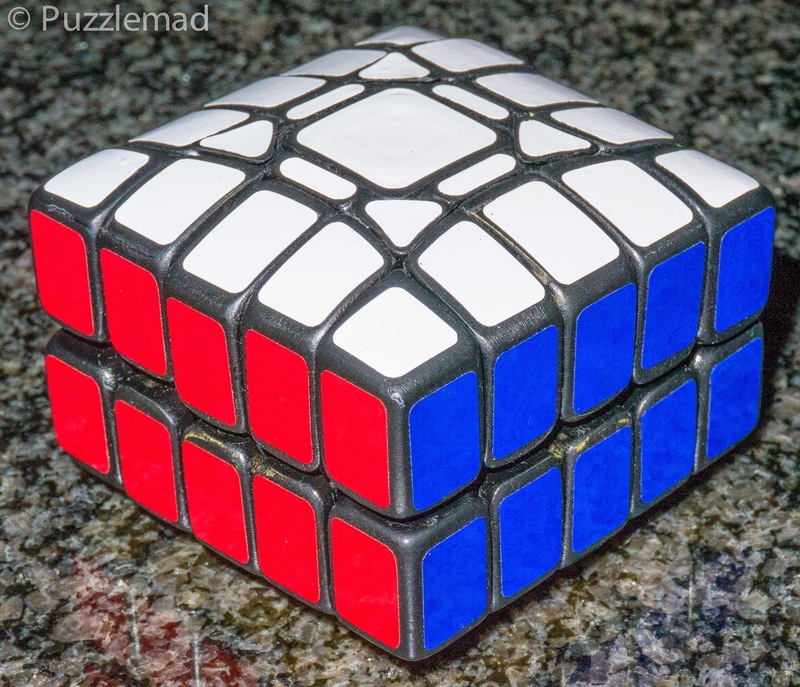 This is a wonderful puzzle and I look forward to seeing more of his work. 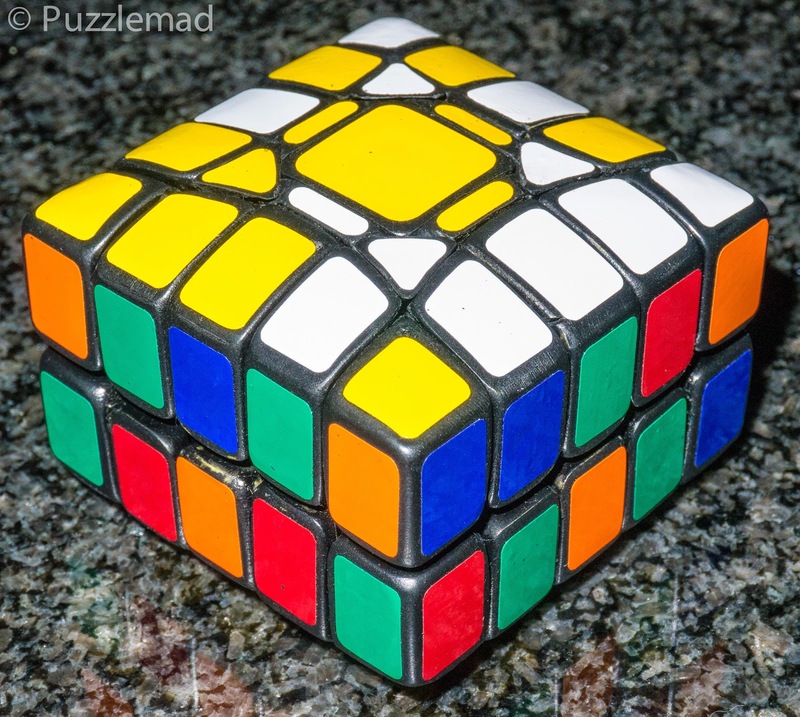 My next puzzle modder has been around for quite some time - Rex Rossano Perez who lives in the Philippines and is part of a group of puzzle modders there. 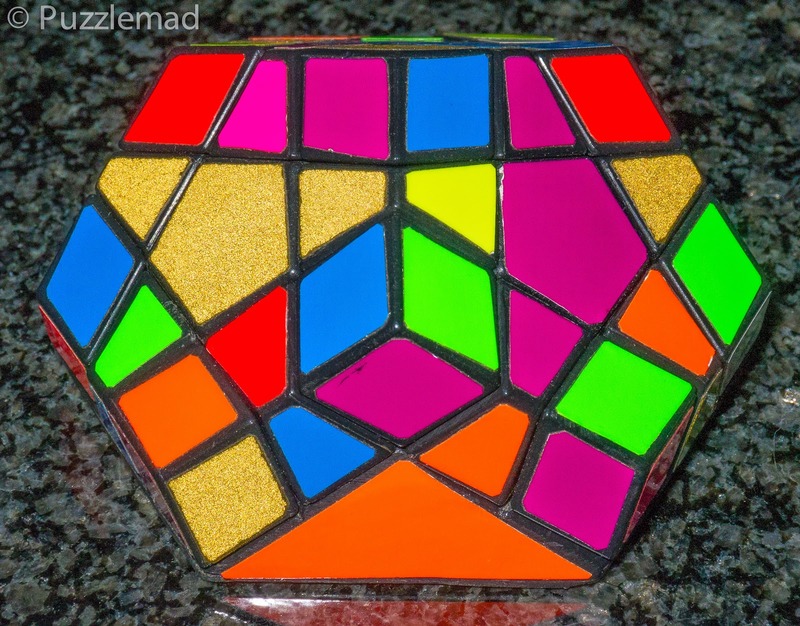 He is a prolific collector, solver and puzzle modder and over a year ago made a Halfminx for me in return for me providing him with a few other puzzles. Looks like Siamese cubes? Looks can be deceiving! After having such a wonderful response from me, she decided to make one for my own collection and it sits next to me as I write taking pride of place amongst my bespoke twisties. 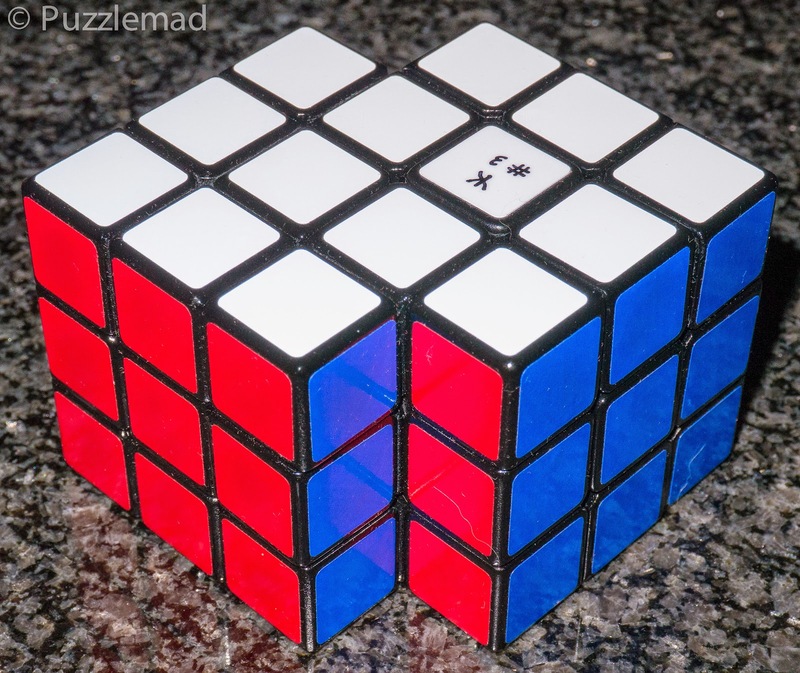 It effectively is just a 3x3 supercube but is incredibly confusing to solve and the workmanship is just stunning! If you ask her really really nicely she might (only might) make one for you too! OMG! The workmanship is stunning!